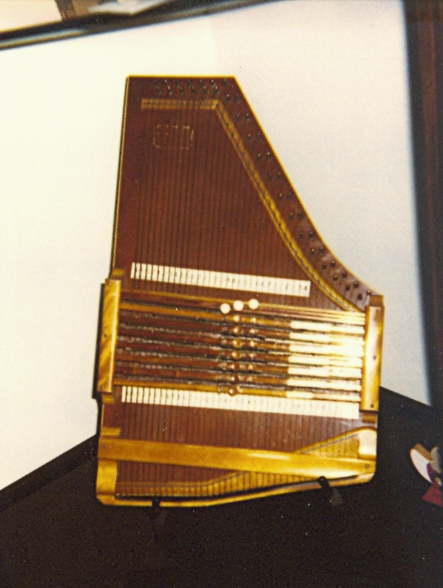 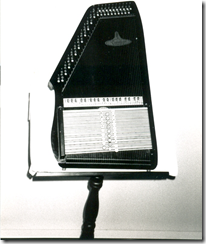 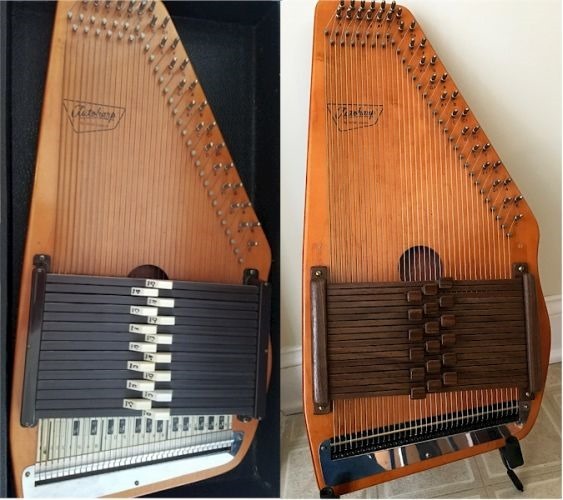 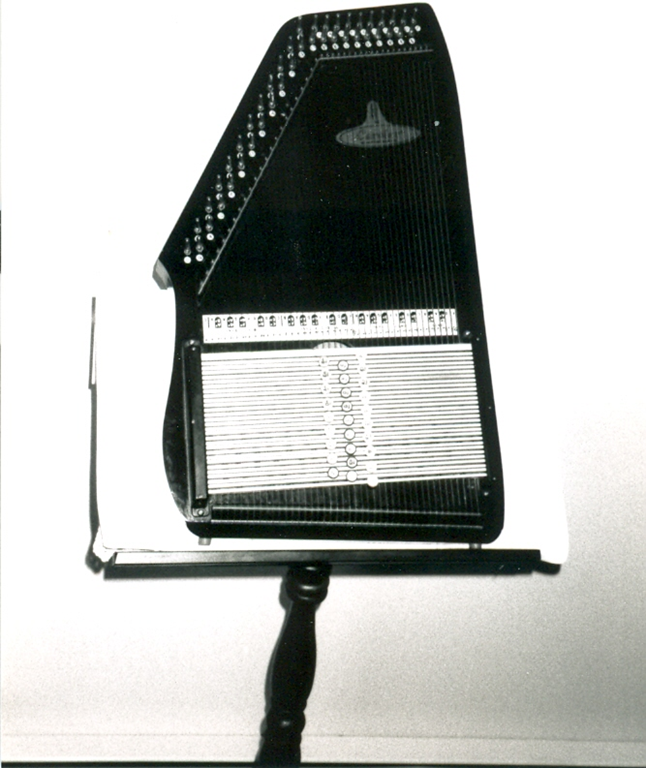 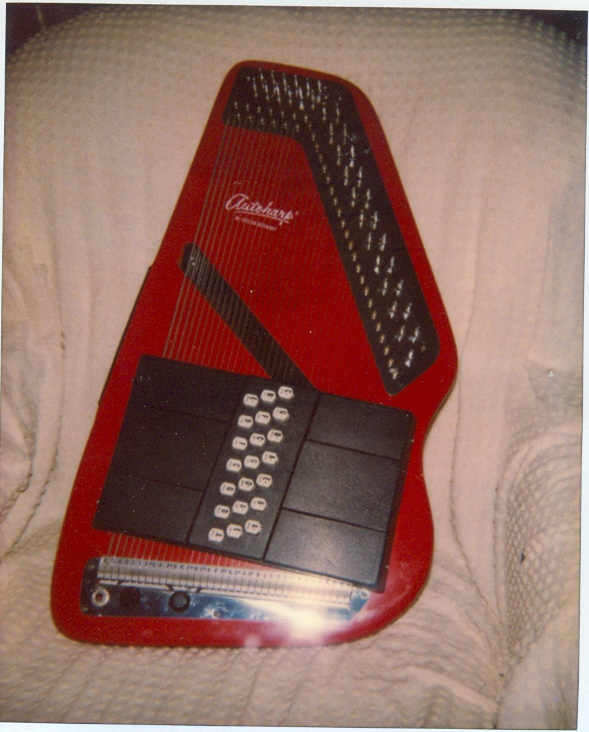 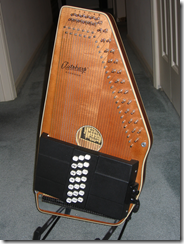 Oscar Schmidt “Centurion” autoharp (OS-100-21) US made with magnetic pickup, set up as a chromatic instrument; a suggested 21-chord bar arrangement is shown below. 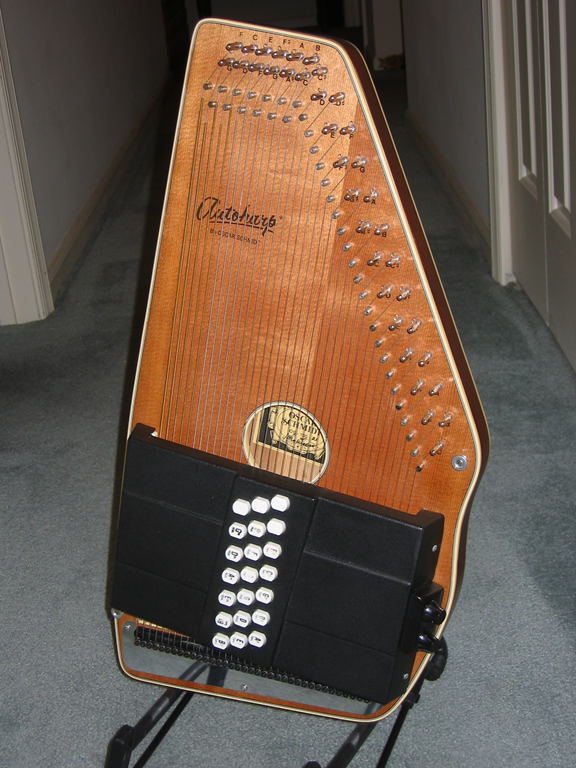 Here Co7, C#o7, and Do7 are diminished seventh chords. 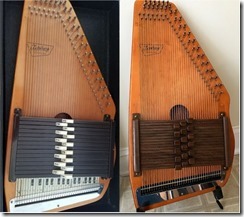 Oscar Schmidt OS15EBH US made between 1969 and 1972 converted with luthier cord bars and fine tuner (Schreiber Autoharps).